No, She’s Not Just Tired. It’s extremely difficult to write about my relationship with my mother’s illness because I have lived with it for so long that it is simply a natural part of life. Many of my memories of growing up revolve around playing games with my siblings seeing who could be the quietest while my mom rested. At the time I didn’t really think about it – it seemed perfectly natural that she needed to spend long hours in the day lying down in her room with the lights off – and we were just happy to play together. 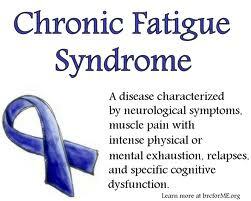 Only looking back do I realize the reason my mom needed to spend so much time resting; she has a relatively unknown disorder called Chronic Fatigue Syndrome (or CFS). This phrase has stayed with me for many years. I remember hearing it on a documentary about social change over ten years ago. Some insightful man looked ahead at how the things that are now coming to pass…demonization of the working and non working poor, stamping into the ground of the already sick and vulnerable and the stripping away of support networks across the length and breadth of our beautiful country. And it was so clear to me, that we must all…always…look out for those less fortunate than ourselves, because it can change in the blink of an eye. I feel as an owner of a neighbouring home next to a concentration camp might have felt during the Nazi culls. By not speaking out loud and clear then I am culpable. I may as well be pouring the death crystals down the shoot! I am as guilty as each dirty politician who brings yet another cruel law into this harsh world if I don’t speak out. Someone once said to me that I am anti Tory and they were sick of my hate speech. I didn’t used to be like this but those in power have certainly made me so! You couldn’t have hoped to meet a more lackadaisical person when it came to politics. When it came to vote time I just put my X to whomever my Dad had always voted for. I now can’t keep quiet…not when I see so much cruelty and deliberate at that. Not just borne from ignorance…born from a real belief that the Tories seem to have that poverty is a failing in someone’s character. I might not shout out very loud and barely anyone might hear me but my morals prevent me from not sharing and telling the plight of those far worse off than me. So…all those folks out there who believe they’re safe from what is happening to the most fragile in society right now…remember the Romans. Great Countries are only made and only remain when society is fair and just. When people care for each other and don’t treat those less fortunate as if it’s their own fault. Remember that you may be in the centre of greatness right now, but that doesn’t always remain. Life might be tickety-boo for you and you don’t want to upset the balance, but watch out for that bus coming round the corner or that car that fails to see you cross the road or you lose your job or….well the list is endless! Start fighting now…whilst you have the energy and the gusto to do so. “That beggar on the street in India. That woman raped in a far off land. That child abused by an uncle. When will we all understand? That man shivering in his cold flat. That dog beaten with a belt of leather. That girl scarred with acid. Yet they say we’re all in this together. That lady who can’t feed her own kids. That boy who only knows fear. That pig up to it haunches in faeces. The future we dreaded is here. That doctor who abuses his patients. That nurse who turns a blind eye. Or stop to question just why? That flood and disaster so far off. That child watching her father break down. That horse starved whilst people look on. I see this all and I frown. Not at all of the victims. Not at the acts that make our lives hells. But at the lack of compassion and justice. A Meeting Of The Dr M’s. I couldn’t be happier reading this. Two wonderful, compassionate, determined, intelligent doctors got together recently with the help of my friend Barbara Kell and her family. Dr Mikovits travelled over from the USA to meet Dr Myhill at her home in Wales. They discussed all things Mitochondria and ME. The analogy they use to describe how our bodies work is so easy to understand. I know there are great things to come from this joining of minds. This account, of the meeting between Dr Judy Mikovits and Dr Sarah Myhill, was taken from the Facebook group ‘Support Dr Judy Mikovits’ and was published 31st October 2013 on their wall.